Could your house use a little pick-me-up? The quicker and easier the better? You’re in luck! 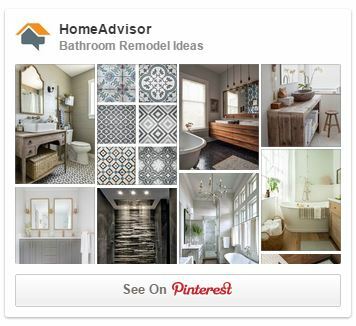 We’ve collected some great home improvement ideas from our friends around the web to inspire some done-in-a-weekend projects. We hope these ideas motivate you as much as they’ve motivated us. Each packs a mighty punch for a minimal effort! 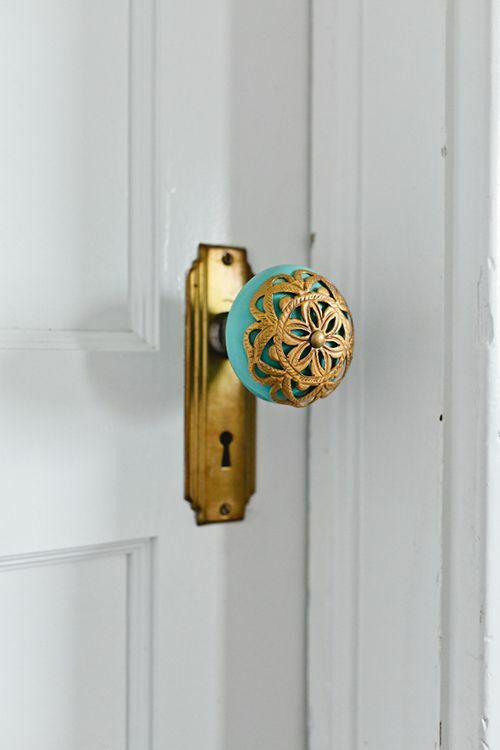 Decorative Doorknobs: After seeing these, we think pretty doorknobs should come standard. But since they don’t, they’ll attract instant attention when you install them in your home! Not sure where to start? World Market, Amazon and Pier 1 Imports all have great selections. 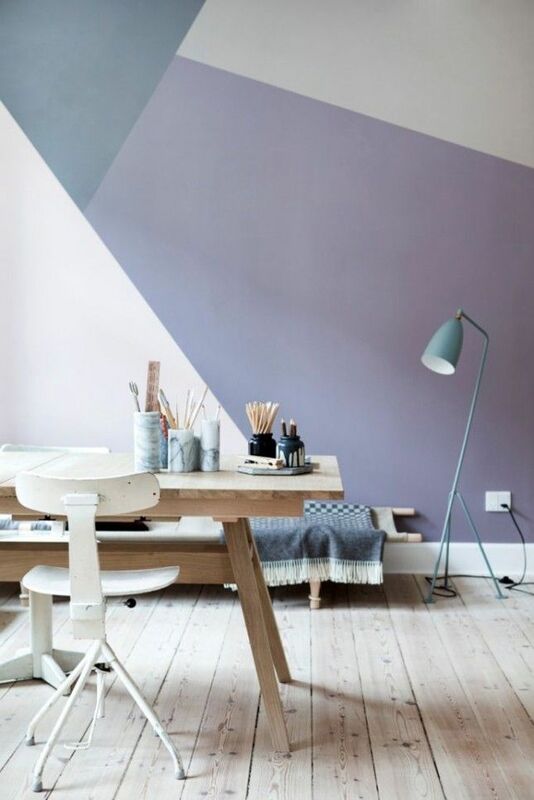 Accent Walls: An accent wall can change completely change the look and feel of a room — whether you want to take the time to create a dramatic accent wall such as this one (precisely geometricized with painter’s tape) or simply paint or paper a wall to make it stand out from the rest. And, generally speaking, it’s something that can be done in just one afternoon! 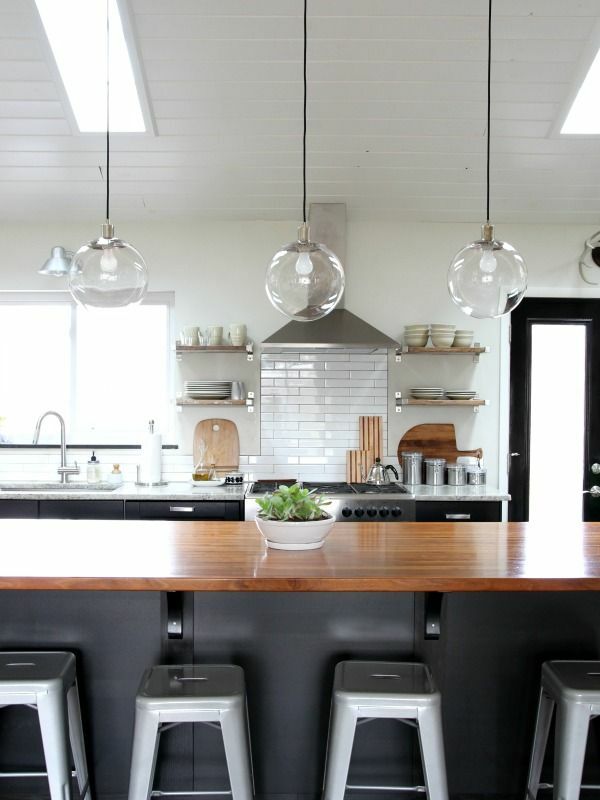 Updated Light Fixtures: Are outdated light fixtures dragging down your digs? Pep things up with some modern pendants. Whether you’re going for something contemporary chic, mid-century modern or just plain pretty, pendant lighting is a great way to make a statement in any room. 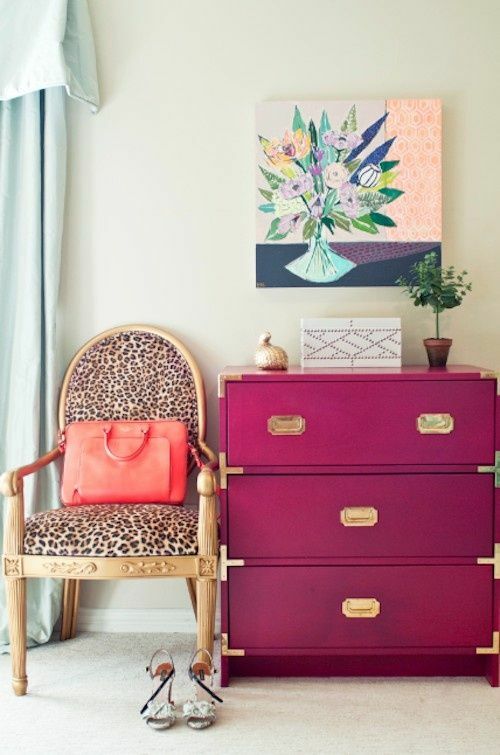 We love the abundant – and affordable — selection at Overstock.com. 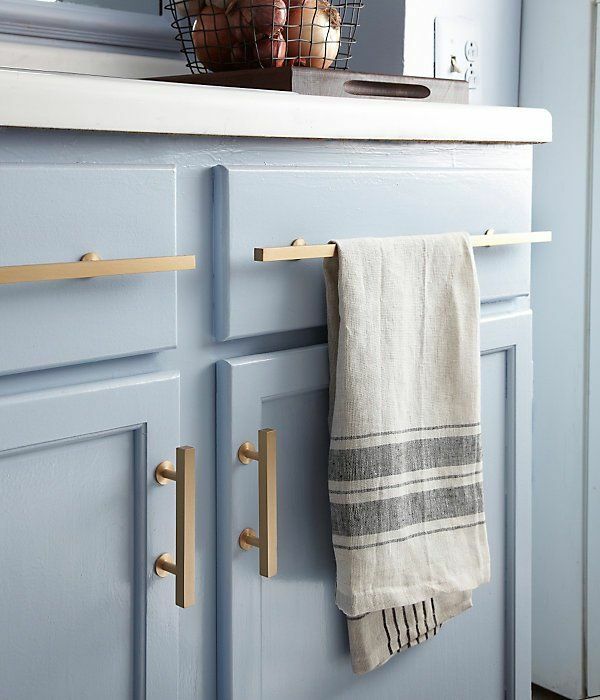 Pretty Pulls: Fresh hardware – whether it’s the handles on your kitchen cabinets or the pulls on your chest of drawers — makes for instant modernization. Consider classic finishes like rubbed brass, stainless steel and nickel in sleek, contemporary profiles. Or, get on trend and go for the gold with chic new pulls like these. Refurbished Furniture: You know that old dresser you inherited when your aunt redecorated a few years ago? With just a little bit of sanding, some chalk paint and some of those aforementioned pretty pulls, you can bring it back to life in a big way! Need inspiration? Pinterest is a gold mine for chalk paint ideas and tutorials. Not sure you want to tackle these improvements DIY? Find a local pro to help you accomplish these projects and make your space the dream home you’ve always wanted.